Drive belt tensioner (50-400 lbs). Flow, speed, temperature and pressure measurement. Daytronics signal conditioning and digital display. 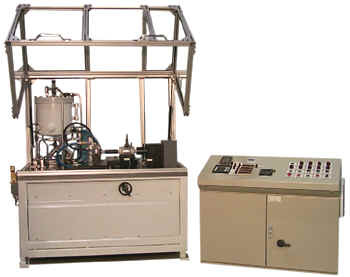 Self contained hydraulic system with closed loop oil temperature and pressure control. Optional computer and data acquisition software interface.